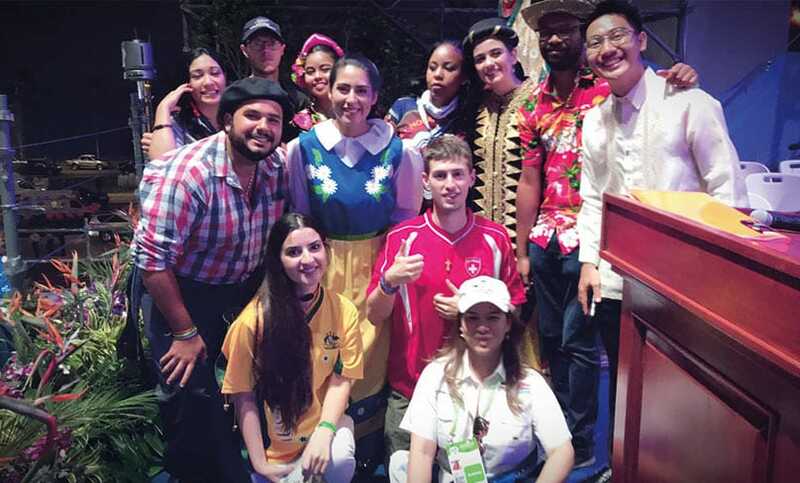 A Sydney Catholic School student had a “dream come true” at World Youth Day in Panama … meeting Pope Francis in front of around half a million people. 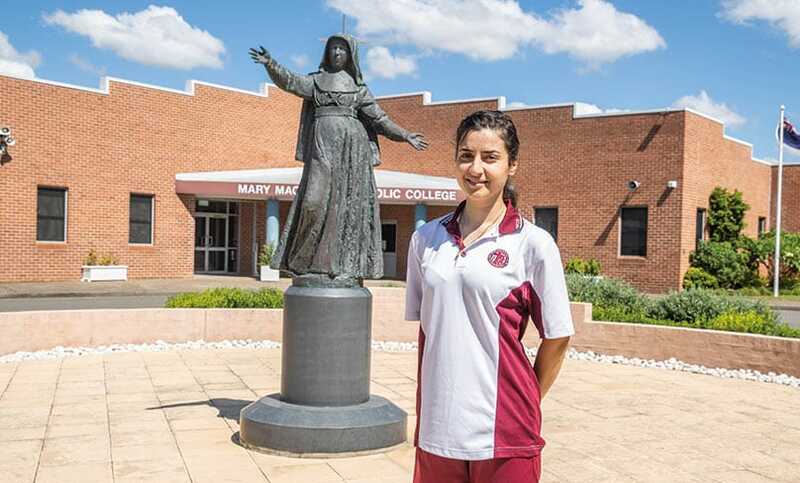 Sedra Wadeea, from Mary Mackillop College, Wakeley, said she was so nervous during her meeting with the Holy Father she even forgot her own name. The Year 11 student said there were “no words” to describe meeting the Pontiff during the welcoming Mass held in his honour. “I had so many things on my mind to tell him but once I saw him I forgot everything – even my name!” she giggled. “I just told him ‘I’m so happy to be here with you’ and then he laughed – it was an amazing moment. “It’s all still a bit of a dream, I really can’t believe it happened. Sedra Wadeea sits behind Pope Francis at the welcoming Mass held in his honour. “I was so nervous, scared and happy to meet him but I need not have worried as he was so very kind. “When he smiles he looks so lovely and you can feel such a presence. Pilgrimage coordinator Michael Neyland said Sedra was an easy choice when asked to nominate a student for the honour of meeting the pontiff as a representative of the Oceanic region. He said of the 110 students on the pilgrimage, she was the “perfect image” for Sydney Catholic Schools and its work to support refugee families and those on the margins through its Catholic Intensive English Centre (CIEC) program. 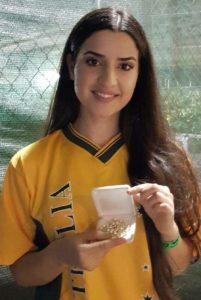 Arriving in Australia two years ago with very little English, Sedra has now been able to move into mainstream classes and will complete her HSC in 2020. She plans to become a human rights lawyer representing women in her native Iraq. Sedra Wadeea with the rosary beads she was given by Pope Francis. He said she is “well-known” for her gratitude of being able to attend a school where she could recommence her education and express her Catholic faith freely. He said she proudly explains how her faith and relationship with God sustained her hope during her time in refugee camps and in the uncertainty of settling into a foreign country. “From such difficult beginnings Sedra has come such a long way and is such a champion for women and girls in regards to education,” he said. “Two years ago she arrived unable to speak much English and in that short time is well on her way to achieving her goal of becoming an advocate for women and girls’ education. 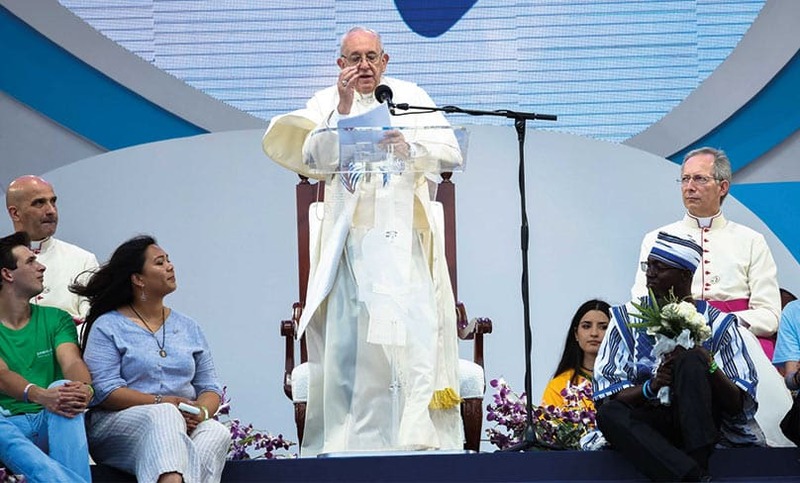 “For me personally, Sedra meeting the Pope was one of the many highlights of the pilgrimage, it was such an incredibly joyful experience seeing the youthfulness of the Church. “Seeing the students embrace and experience the richness of Catholic faith is something that was not only unforgettable but helped grow my own faith. Sedra Wadeea with the other young representatives from around the world selected to meet Pope Francis at the welcoming Mass.